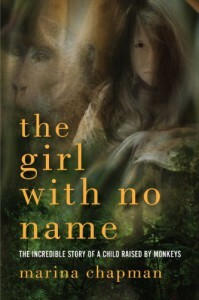 Via http://onlectus.blogspot.com/2013/02/the-girl-with-no-name-by-lynne-barrett.htmlImagine the a real-life version of the fictional adventures of Tarzan and that Nell movie with Jodie Foster and Liam Nelson (1994). But The Girl With No Name is real. It is no fairy tale of love and a charming prince. In the 1950's, around age 5, Marina was kidnapped and then abandoned in the jungle of Colombia. There she lived for many years in the company of (that's right) monkeys; to the point that she thought as a monkey of herself.After five years or so, she is "rescued" and ends up in a brothel. Constantly beaten and treated like a dog, is in this place where she starts learning the first traces of human language and how to walk straight up instead of on all fours.When she escapes the brothel she goes to live on the streets (this part of her life reminded of the book Empty Chairs by Stacey Dawson). After a while of street life, she goes to live with a family as vicious as the first one and, once again, she is being treated like an animal... until she escapes.The book is a compelling read that made me sad and angry. Why do people abuse children?I like that it narrates Marina's life with the monkeys in detail: from what she did when she "had to go" (to the bathroom) to how she learned to climb trees. The story is not told in a fictional way; on the contrary, I felt as if she was actually narrating it to me.Is this story real? I don't know. The Sunday Telegraph investigated the story and the facts seem to be real but, of course, there's no way to corroborate the time she spent in the jungle.There are some minor gaps in the story. For instance, if Marina didn't have any type of coordination with her hands to open a door or fasten a belt, how did she release herself that first night in the brothel? She says that she was dressed up in army pants and when she needed to go to the bathroom she ran to the garden and did her business there. I think it would've been nice to read her little struggle to put her pants down. I personally don't care if the story is true or not. 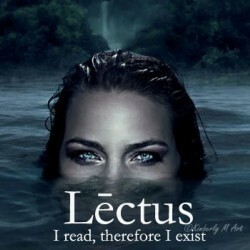 I enjoyed it enough to hope that it is made into a movie.